Exhausted from two weeks of nothing but briefings and paperwork during inprocessing, my 9-year-old son and I decided that we were in need of some fun during the upcoming 4-day weekend. It was immediately agreed upon that staring at the walls of our empty new house wouldn’t yield the results we were seeking. The idea then came to us that a weekend getaway was the only thing that would do. 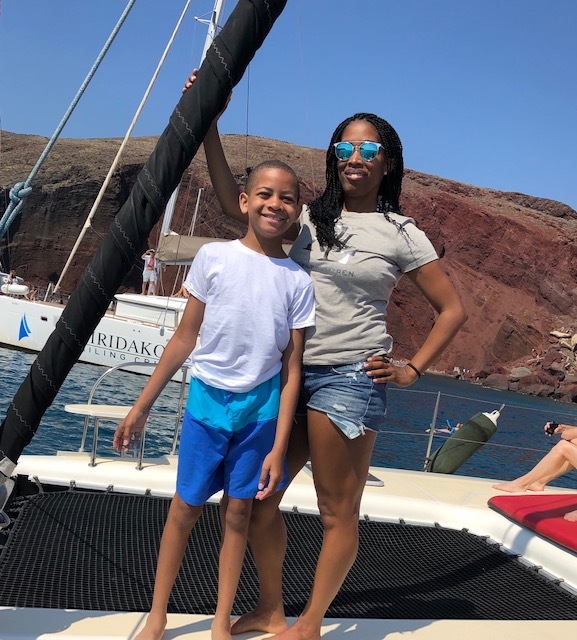 After much discussion (in my experience, allowing your child to have some input makes for a much more enjoyable visit) and some online research, we selected Santorini, Greece. All of the hotel reviews that I had read prior to booking made reference to a guy named Niko and the awesome customer service he had provided to past guests. We can certainly confirm this as Niko and his staff anticipated our every need. Although we could have easily had a fabulous vacation without ever leaving the resort, we frequently ventured into town in order to soak up as much of the culture and sights as we could. Niko arranged a private tour which took us throughout neighboring villages, beaches, restaurants, etc. 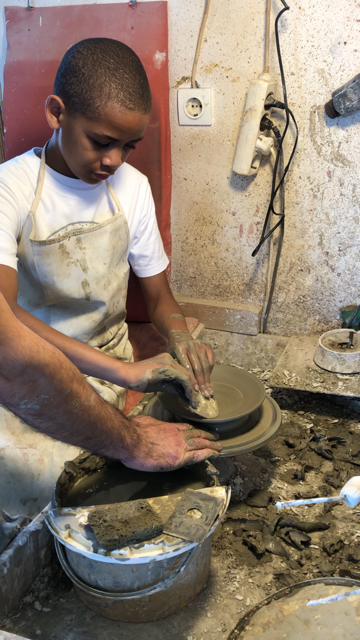 Our guide provided a wealth of knowledge and history and even took us to a pottery studio where my son was able to gain some hands-on experience with the pottery wheel. We also went on a sunset catamaran cruise. This was inexpensive, too, and included snacks, soft drinks, wine, and a full meal prepared by the crew. Lunch was pretty cool as all passengers were gathered together at the table and passed food and enjoyed fellowship with each other. In addition, we used the opportunity of being out on the sea to do some snorkeling and swimming. All in all, this was a most enjoyable trip and one that we will never forget. If you’re looking for some fun and relaxation and a bit of pampering on a budget, Santorini in the summer time is a must. There are frequent direct flights to Santorini/Thira International Airport by all major airlines. 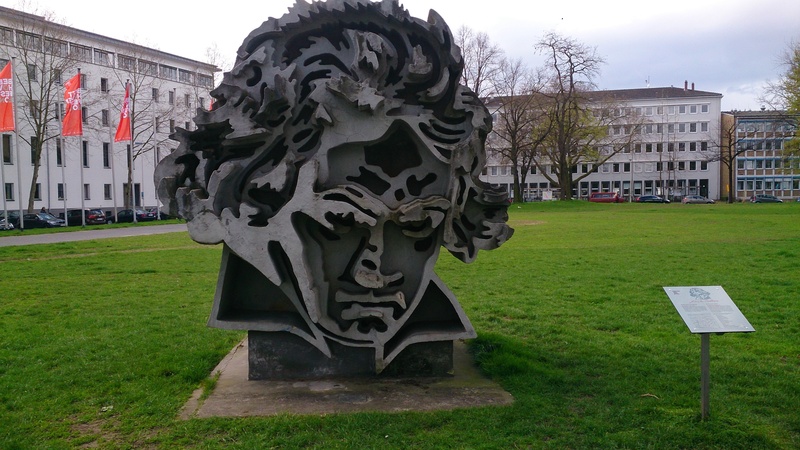 Try booking.com and airbnb.com for unique accommodations.